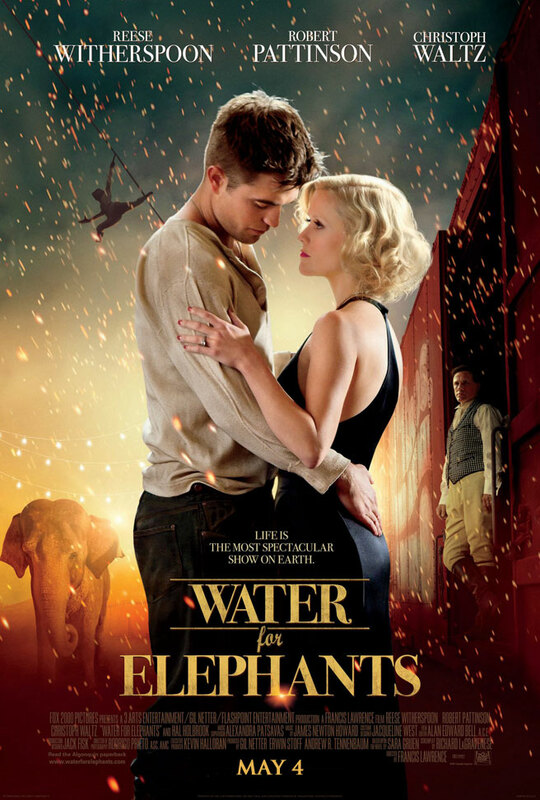 Love Affairs Behind the Curtains: Witherspoon and Pattinson in "Water for Elephants"
Oscar winning actress Reese Witherspoon stars opposite global heartthrob Robert Pattinson in the sweeping drama, “Water For Elephants” based on bestselling tome by Sara Gruen set during the Depression era. 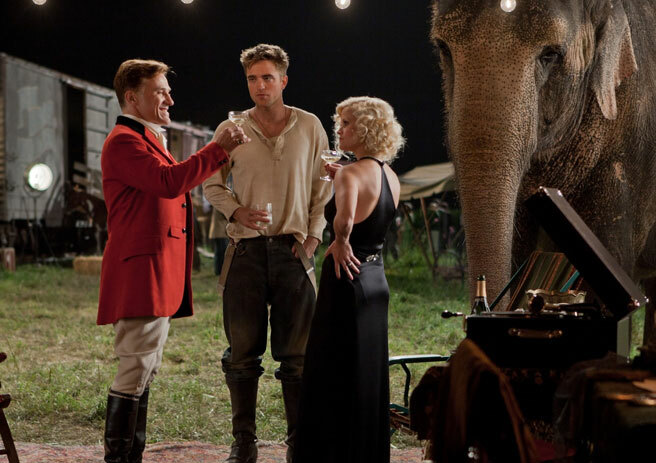 “Water For Elephants” is an original and compelling story that takes the audience back in time to 1931, when the circus offered a welcome escape from the rigors of daily life and economic hardship. Robert Pattinson plays Jacob, a talented student, heading for a career as a vet. His world changes dramatically when he discovers that his parents have died in an accident. Destitute, he has to abandon his studies and look for work. He boards a train out of town and only later does he realize that he has joined a circus train. Drawn to Marlena (Witherspoon), the radiant and talented equestrian star of the ‘”Benzini Bros.’ Most Spectacular Show on Earth,” he accepts a job taking care of the animals. The relationship between Marlena and Jacob develops furtively. Already married to the moody, possessive and dangerously abusive August (Christoph Waltz), the ringmaster who runs the show, Marlena secretly develops a relationship with Jacob. Both Jacob and Marlena form close bonds with Rosie, the dignified and graceful elephant who has a central role in the film. Directed by Francis Lawrence who also helmed global hits “Constantine” starring Keanu Reeves and “I Am Legend” starring Will Smith, “Water For Elephants” introduces us to an era long gone bedecked with the circus’ thrilling backdrop where an exciting and moving love story unfolds. He also notes that Robert is the only right one to play Jacob - “I decided to cast Rob after sitting down with him for a couple of hours. After that I thought he was naturally perfect for Jacob Jankowski. It was tough to try and find a young man of 23 or 24 who didn’t feel like a boy. Rob was already becoming a man. He is thoughtful, intelligent, empathetic, strong and confident while still being a bit uncomfortable in his own skin,” Lawrence concludes. “Water For Elephants” opens on May 4 in theaters from 20th Century Fox to be distributed by Warner Bros.